Jesse Ryder, the New Zealand batsman, is in an induced coma in hospital after being assaulted twice late on Wednesday evening in Christchurch. Ryder, 28, is in intensive care after suffering a fractured skull, which Christchurch Police believe happened in the second of the two attacks. The first assault took place at about 12.30am outside the Aikman's Bar in a Christchurch suburb Merivale, where Ryder had been out with Wellington team-mates and friends following their loss to Canterbury to mark the end of the season. 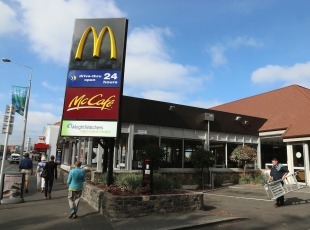 The second attack occurred minutes later at the entrance to the car park of a McDonald's across the road, where the other Wellington players had gone to order food. 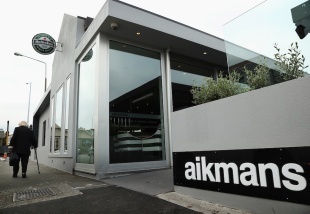 "An altercation has taken place on the footpath outside Aikman's involving Jesse and a group of at least two other males. The altercation was brief," Detective Senior Sergeant Brian Archer told reporters in Christchurch. "Following that incident, Ryder and two other persons walked across the road towards McDonald's, where his Wellington team-mates had been purchasing some food. A second altercation has taken place at the entrance to the McDonald's car park, involving one of the males from the earlier group. "In that incident it appears Jesse has been the victim of a serious assault and has suffered head injuries as a result. Ambulance and police were called about at 12.44am. Jesse was taken to hospital where he remains in intensive care. "The hospital advise that Jesse is in a critical condition, he is in an induced coma as a result of suffering multiple injuries. He is still being assessed for a number of injuries and we are not prepared to discuss that any further." Archer said that while police had "positive lines of inquiry", they had not yet identified Ryder's attackers. CCTV footage from Aikman's and McDonald's is being reviewed, he said. "We believe at least 10 or more people have witnessed some of the events, and we've been speaking to witnesses throughout the day. There are CCTV cameras in the area and we're going through the process of downloading and reviewing that footage. "At the moment we have not identified the people involved in the incident, but we do have positive lines of inquiry, and we will be focusing on identifying and finding those people, and speaking to them. "Although the Wellington players had been at a licensed premises during the evening, at this stage there is no evidence that alcohol was a contributing factor to the assault. We are asking any witnesses to contact police and calling for people involved to come forward and speak to us about it." Ryder, who played 18 Tests for New Zealand before going into a self-imposed exile from international cricket for the last year, was due to leave for India on Friday to join the Delhi Daredevils ahead of the start of the IPL season on April 3. In January, he ruled out a return for New Zealand, despite his impressive domestic form. Before embarking on his sabbatical from international cricket, Ryder had been dropped from New Zealand's ODI side after breaking team protocols concerning alcohol. In 2008, again in Christchurch, he injured his hand when putting it through a glass window after a drinking session. Peter Clinton, the Cricket Wellington chief executive, said Ryder was not in breach of his contract by being at the bar, and also that no team rules had been breached over the course of the night. "It was not a violation of his contract, no," Clinton said. "There are some alcohol protocols around the team, as there are with other sports. My understanding of the events as described by the police was that those protocols were met last evening, so from that point of view we don't have any direct concerns that Jesse was with his team-mates last night." Heath Mills, chief executive of the New Zealand Players Association, said numerous cricketers around the country were in shock at the news of the assault, and Ryder's serious condition. "Obviously the cricket community's very shocked at what's happened to Jesse. He's obviously in a serious condition," Mills said. "It's a sad day for us, a number of players around the country are in shock, our focus now is on Jesse and his well-being." The Daredevils' team director, TA Sekar, called the incident "very unfortunate". He had spoken to Ryder two days ago. "He was looking forward to come, and he was supposed to board the flight for Delhi tomorrow," Sekar said. According to him, the franchise had bid for Ryder because he was a worthy batsman to replace Kevin Pietersen who, before he got injured, was contracted to play 11 matches in the season. Sekar said the franchise would seek a replacement soon. David White, the New Zealand Cricket chief executive, expressed his sorrow at events via a statement: "We are all shocked by what has occurred and extremely concerned for Jesse. New Zealand Cricket's thoughts are with him and his family." New Zealand batsman Ross Taylor added: "Thinking of you mate [Jesse] Ryder." Ryder's manager, Aaron Klee, wrote on his Twitter page: "Thanks for the calls and msgs of support for Jesse. Just heading to [Christchurch] to see him."